Some of the most prestigious and reputable medical groups in the world are about to give their stamp of approval to an organ transplantation system that, critics argue, still allows the use of vital organs harvested from prisoners. The Transplantation Society, the World Health Organization, and the Declaration of Istanbul Custodian Group will meet with Chinese officials in Guangzhou for a long-anticipated conference from Aug. 21 to Aug. 23. 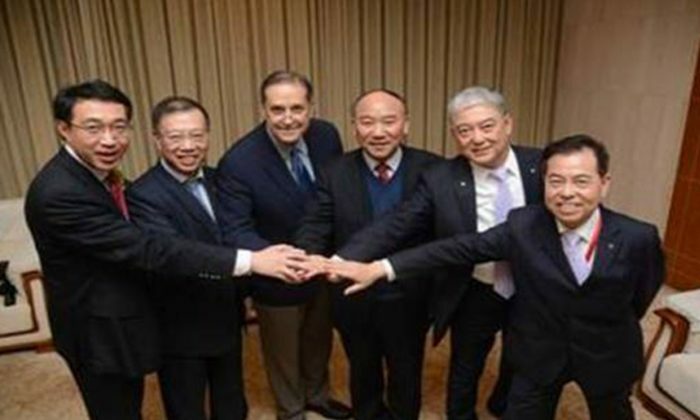 Unless there is a radical change in their posture on the eve of the summit, they will be participating in a “grand gathering to mark China’s splendid entry onto the international transplant stage,” as it was colorfully put by Liu Xiuqin, the secretary general of the China Organ Transplantation Foundation. If they indeed endorse China, it will be the first time since a failed resolution in Hangzhou in late 2013 that the country would be recognized by the international medical community as running an ethical organ transplantation program. And it would happen even as Chinese officials, in their own words, said that the use of prisoner organs can continue. Critics are puzzled and exasperated at what they consider the premature recognition of China’s progress, and worry that it will entrench and implicitly legitimize a system continuing to use prisoner organs. The first deal between China and international medicine broke down just months after it was signed. The Hangzhou Resolution was branded a New Era for Organ Transplantation in China in November 2013. But like many official pronouncements, it relied largely on voluntary commitments. In February 2014 The Transplantation Society penned an open letter to Party leader Xi Jinping demanding an actual end to the use of prisoner organs. A scheduled conference in June 2014, meant to consolidate the Hangzhou spirit, was never held. The key shift came later in 2014, when Huang Jiefu, head of China’s Organ Transplantation Committee and China’s de facto spokesman on organ transplant issues, began promising that prisoner organs would no longer be used, and that further regulation would be put in place to that effect. The date for this shift was set for Jan. 1, 2015; the news was uncritically reported around the world. But no new laws have been passed, and critics strenuously object, charging that nothing in China has fundamentally changed. Verbal (or email) promises from Chinese officials are far from enough, especially given three decades of the harvesting of organs from prisoners, they said. Even the officials making the promises leave loopholes. Medical ethics holds that prisoners cannot give informed consent to donate their organs, because they may be subject to coercion. Since 1984 secret provisions of dubious legality have justified the Chinese state’s use of prisoner organs. They were issued by China’s Ministry of Public Security and a raft of other agencies, including the public prosecutor and the courts. “The use of the corpses or organs of executed criminals must be kept strictly secret,” it states. When he was asked about these provisions in March, Huang batted away the reporter. Without the explicit cancellation of these provisions, they are assumed to still be valid. Huang Jiefu himself stated in 2005 that about 90 percent of organs in China come from executed prisoners. According to Torsten Trey, the executive director of Doctors Against Forced Organ Harvesting, a medical advocacy group based in Washington, D.C., if the use of prisoner organs had no legal basis in China, then liver transplants that Huang Jiefu conducted, some of which were highly likely from prisoners, would be criminal acts. There is also the matter of just which prisoners have been killed for their organs. Chinese authorities said that death row prisoners have been their primary organ source—but an increasing body of evidence indicates that prisoners of conscience, primarily practitioners of the Falun Gong spiritual practice, have made up the bulk of the transplant volume in China since about 2000, when the organ transplant rate suddenly began to leap up. “If the Western transplant community does not demand full compliance with global standards of ethical practice of medicine, as well as admission of the harvesting of prisoners of conscience since 1999, it is likely that unethical practices will continue unabated, and may even expand in scope,” said Dr. Maria Fiatarone Singh, a professor at the medical school at the University of Sydney. The latest research on the question indicates that over 60,000 practitioners of Falun Gong have likely been killed for their organs, though the real figure could be much higher. Interviews with refugees also indicate that Uyghurs, a Turkic-speaking minority, have also been killed for their organs. Dr. Jacob Lavee, in Tel Aviv, argued that China must “admit and end the pillaging of organs of prisoners of conscience” before it should receive international recognition. Premature endorsement “severely undermines the ability of the international transplant community to signal to China that it still has a long way to go before it can be accepted as a respected and equal member,” Lavee wrote. None of the organizations that will be present in Guangzhou have substantially answered questions submitted via email on their rationale for giving their imprimatur to the Chinese transplant system now. “They have regulations,” Dr. Francis Delmonico replied, without elaborating. Correction: Dr. Torsten Trey, executive director of Doctors Against Forced Organ Harvesting, said there is a “high likelihood” that among liver transplants performed by Huang Jiefu, some involved the use of prisoner organs. He did not say that it was a certainty that this was the case.